VALLEY, Virgin Gorda, VI - What was set to be an event that sees all working together to promote the Virgin Islands was marred with reports of scuffles and fighting among some of the most senior staff of the BVI Tourist Board yesterday November 15, 2014. This news site was furnished with the names of all the persons involved but based on the nature of the allegations none will be mentioned until an official response can be had from the Premier and Minister of Finance Dr the Honourable D. Orlando Smith as he sits directly over that organ. Several persons who were at yesterday's Taste of the BVI event which was held on the Sister Island of Virgin Gorda at the Dock Harbour confirmed several incidents. 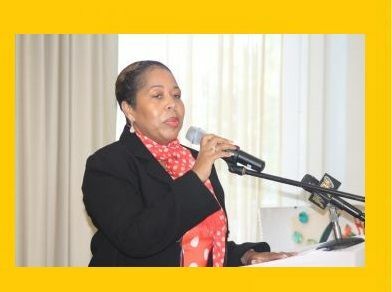 It was said that an off duty Virgin Gorda BVITB staff had stepped in to offer advice on what was seemingly a move of unfairness and discrimination against a young person when words were exchanged between that off duty staff and another from the ‎Tortola main office. Our source said that, the Tortola senior staff allegedly shouldered the other which resulted in retaliation by the victim. "Well my girl didn't take it lightly (VG off duty staff) and she called the police and they came," said the source. According to our information the Director of the BVITB Ms Sharon Flax was at the event and according to our police sources was made aware of the incident. It was also said that things escalated further as the band for the event proceeded to play and in their live on stage entertainment opted to do the locally produced songs: "Facebook mash up my relationship” followed by "Rock and a Hard Place" composed by a resident and popular Virgin Gorda artist Martino 'Tino' Marks. It was alleged that as the songs were being performed another senior Officer of the BVITB attempted to unplug the band barring the two songs. "I don't know if it is that, that officer, very senior mind you, was offended thinking they were hitting at her, but I was right there in the office when she tried to pull out the power and the other one,(name called) stood up to her and dare her," said the source. Asked if at that stage there was another scuffle the source said, "No, at least I didn't see any of the two touch each other, no but it's a shame cause they are very close and such a public display should never happen." “Right now it's a big issue with the VG Tourist Board people and them from Tortola going on for some time and we will give you the full story on that later," noted the source. Contact was made by this news site with one of the persons in the alleged scuffle who, when asked about the incident said, "I have nothing to say.” Further pressed to verify the validity of the information related to this news site the individual insisted on not saying if it was true or false. The BVITB Director Ms Flax was also contacted and in response said what she knows for sure was that the Taste of the BVI at Virgin Gorda was a very successful day despite the fact that it was not as big as the Tortola leg. "I am not aware of anything happening that was out of the ordinary. I am not aware, we had the event, and the event was successful as far as I am concerned. Sources said that there were also remarks made publicly by a senior staff of the BVITB that one of the officers involved in the alleged incidents will be fired. But according to persons on the ground, if one of them is to be fired then the other has to be also. There are also allegations that one of the celebrity chefs in the competition gave the finger after she lost, an action described by eyewitnesses as disrespectful and unprofessional. As it relates to any official reports made to the police a response is being awaited from Public Relations Officer of the Royal Virgin Islands Police Force Ms Diane Drayton. Typical culture of disrespect for law and order and authority fostered by the NDP Myron and the gang...is anyone surprised? Actually, yes, they are puppets with strings that are controlled by the NDP. And no, senior gov't officials did not behave this way under VIP. R u sure about that? Im pretty sure that if one were to look back, one would find at the very least a case or two where senior officials behaved badly under the VIP. What I was trying to say is that the NDP literally does not have mind control over these people so therefore they do not control their actions. I understand what you said the first time and I uphold my position: I have never seen such mindless pandering to a political party as with this current administration, and I am willing to bet I have been around longer than most. Yes, I believe the NDP controls their minds, through controlling their ability to hold office and be welcomed into the inner circle of lucrative gain that only the party faithful enjoy. And this family is but one example, but certainly one of the well known ones. Also, that celebrity chef who lost the competition and gave the finger should never be asked back. In all my years there has been a winner and a loser and this is the first time anyone has been given the finger. So unprofessional and disrespectful to all of us sitting there. You cannot expect great things from a low life. Our people in charge should also be VERY ASHAMED of their behavior. Poor BVI. Stop talking negative about the British Virgin Islands. Here is no different than any place else. NDP spineless leader and leadership, how much longer are we the people going to tolerate this culture of disrespect? That power hungry director need to go. This is not the first time that the tortola staff member assault a manager. It wasn't a Tortola staff. Read the article next time. Adults acting very stupid and childish at a public event in front of tourists and locals. That's a dam shame and embarrassment to this country. Grow up and learn how to be mature professionals. Fire them all who display this behavior!! Every last one. I agree! Is this the frustration caused by the NDP? Why every time something happens its always NDP fault..ridiculous man these people have minds of their own myron and smith don't tell them what to do. Ms. BVITBD has her work cut out for her because she has to make a tough decision and put family aside. tell we who is wagging the tale. Put family aside you say y'know. That will be the day! That family only do for each other. Everyone else can go to he!! So true. The same one they won't approve even a bottle of water for is being victimized A crying shame. So disappointed after everyone including those being victimized now were ready to work with you when you walked through that door at the Akara Building. At least he has two legs you have none!!!! Is this the BVI culture we are supposed to be selling? Or is there another one? Thank goodness no one had one of the freely available guns or tourist culture would be gone and buried. more often then North Sound and the Valley combine. They ll do anything for attention not to mention MONEY that's their biggest problem. Cant get enough. Verys sad and pittyful for sisters; not to mention shameless. Shameless is right! Hogs will be hogs, with hoggish ways. Did anyone get this on tape? What's the problem? They were just showing the tourists a true "taste of the BVI". Government department in fighting and bullying, hopefully there was some casual racism and xenophobia thrown in for good measure. Great advert for BVI hospitality!! All fighting over money thats not there anymore. Only the start of things, who's next? The entire department needs revamping. There are too many people at BVITB that does not have a clue about marketing and what selling the British Virgin Islands entails. Apart from all these local events what has that department done over the years to promote the BVI. We have heard about big spending but I am yet to see a overflow in tourist in the last 10 years. We have to put politics aside and get real with Tourism as it is the main industry of the BVI. When are we going to learn that we have stop putting people in positions based on political affiliations. When are we going to realize its not business as usual as we are competing with every other Caribbean country. At this point we don't have any thing that they don't except the US dollar and from my traveling experience some if not most is wayyyyyyy ahead of us. Just look at our neighbors in the US Virgin Islands. It is my view that the entire body needs to be revamped from the head to tail and recruit people who have actually studies the subject matter. There are many young BVIslanders who have studies the industry that should be coached an given a fair chance. Look at the salaries being paid at the body. It begs to questions if the performance appraisal system is effective as we are yet to see anything positive coming from the BVI Tourist Board. Stop recycling......like one poster said shift some of these worker to other Government departments and then we would see how productive they are. Take for instance, several years ago Uncle Ralph put in place one of his constituents from VG at the TB and that individual is nothing but hot air and fashion. The board spends thousand of dollars a year on this one individual on travel alone and not one thing of substance can be brought back upon their report; yet, every week its a trip somewhere. We have to really get serious about business around here and stop playing games with the livelihood of others. I beg the Hon. Premier to take a stand, put his foot down and grab the bull by the horn. These lovely islands are heading down a creek fast and someone needs to get us on track before we end up like some other Caribbean islands who were once the cream of the Caribbean. Everyone knows this was an NDP choice. She is an NDP puppet, through and through. Why would anyone dislike this post? People don't like truth! All the top TB staff are not qualified to hold those top positions. But you see, qualifications is not a criteria for any Top Post in the BVI, criteria number 1 "what is your last name". Criteria number 2. "who you know" and criteria number 3, "you can easily be bent and manipulated". That is all it takes. So you see, that is why we have all these non-functioning departments. Criteria number 2 is "Who know you"